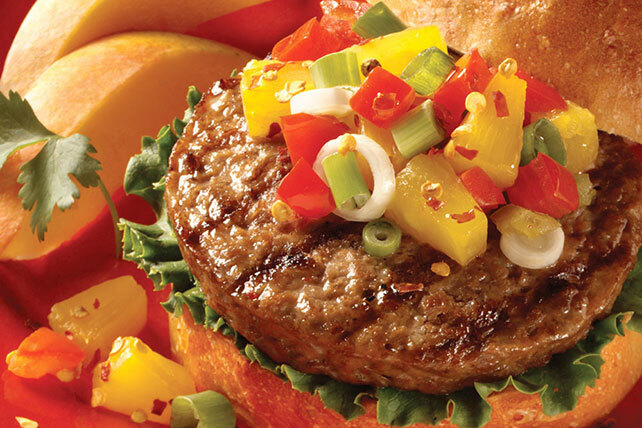 Here's a great way to dress a BOCA Burger: Top with a salsa made with tomatoes, onions and pineapple bits—and enjoy a taste of the tropics! Cook burgers as directed on package. Meanwhile, combine next 4 ingredients. Fill buns with lettuce, burgers and pineapple mixture. Add chopped fresh mangos to the pineapple mixture. Substitute frozen BOCA Meatless Original Chik'n Patties for the burgers. Spread cut sides of buns with MIRACLE WHIP Light Dressing for a cool complement to the salsa.